I can now see why people say that writing haiku is addictive. Since writing the first one a couple weeks ago, I'm having a hard time not arranging my thoughts in a 5/7/5 syllable order. 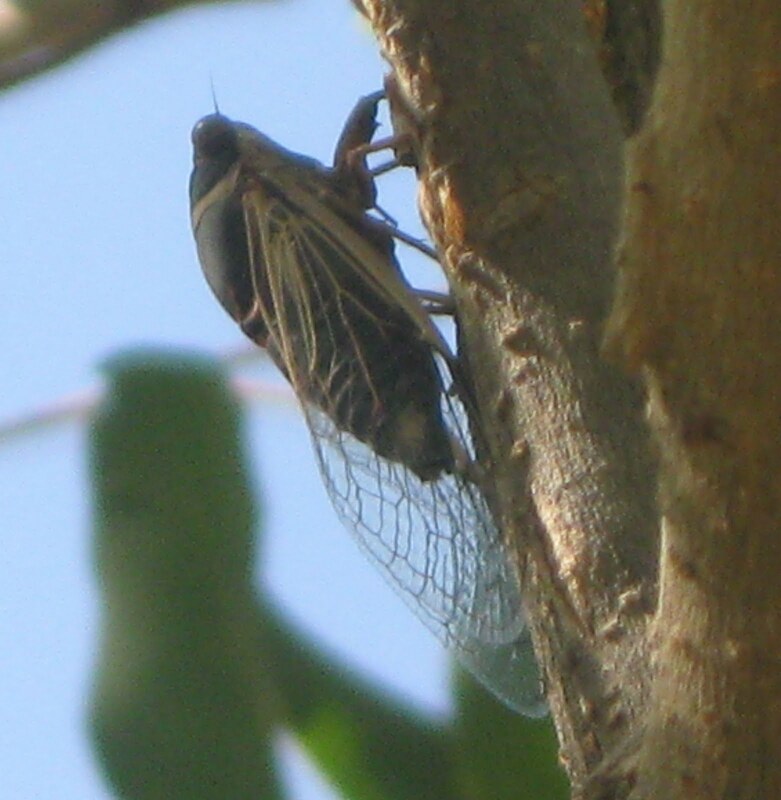 These are the kind of cicadas we get each year in Phoenix. They come out in late June/early July, whenever we get our first sustained spike in humidity. For instance, July 3rd was the first day I heard one this year. They serve as a bellwether of the approaching monsoon season, which tends to hit right around the time we're all getting fed up with the heat. With the monsoon, the weather changes from simply hot to sweltering. The cicadas play their high-pitched, irritating serenade (think of a really overindulgent harmonica player who sits on one high note for hours on end, kind of like listening to John Popper live) all day long, every day until the end of summer. I can hear them right now, through the walls of the house, with the fan on and the television in the background. They are the sound of summer madness in Phoenix.